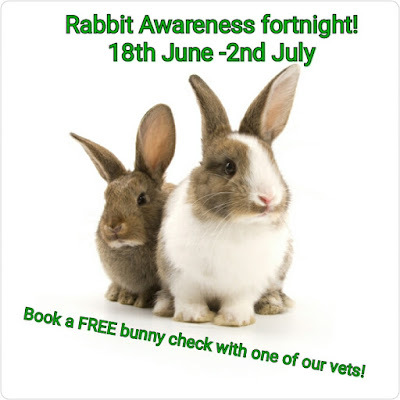 Arden House Vets: FREE rabbit checks! 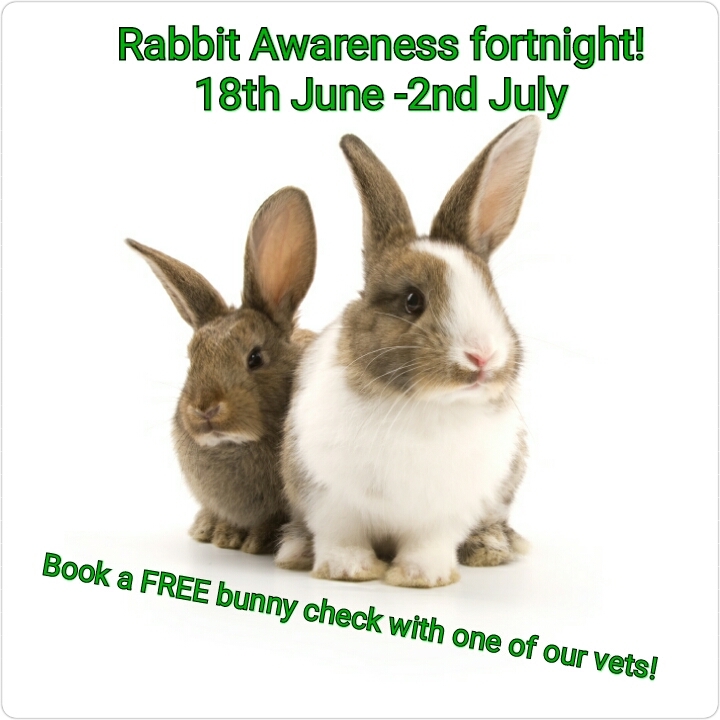 Hop on in with your rabbits for a FREE health check with a vet! - We'll weigh them and look at their body condition, check their teeth, fur, claws, ears, eyes, and bottom! The vet will listen to their heart and lungs with a stethoscope. Our nurses and vets are available to discuss all aspects of your bunny health care including vaccination, worming, diet and neutering. Call & book an appointment!